Try as one may, there are times that acne just isn't brought under control by traditional methods. Teens get acne of course but did you know that there are adults who continue to struggle with it.? It can be irritating, dry and lower ones self esteem when not controlled. Frustrated at trying all sorts of creams and ointments, where can they turn? 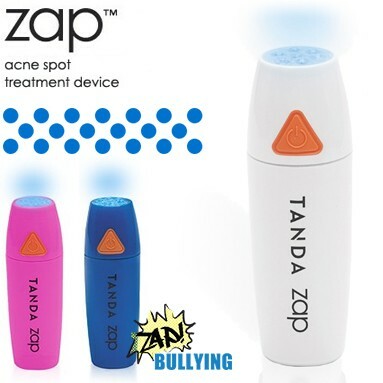 Zap is an acne spot treatment tool. The first and only device that puts the power of three proven technologies at your fingertips, it combines the same powerful blue light technology used by dermatologists with sonic vibration and gentle warming to give you clinically proven clearing results. 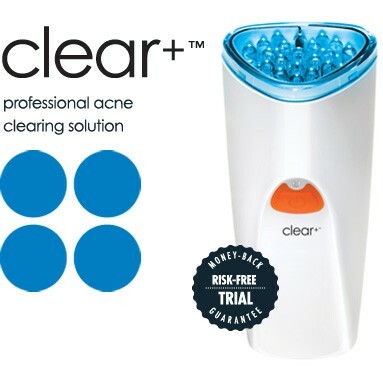 Clear Plus is a professional acne light therapy. The Clear+ is the first and only device to combine powerful bacteria-killing blue light with sonic vibration and gentle warming for clinically proven clearing results. The large treatment surface treats acne breakouts fast. Together, these three technologies deliver unsurpassed speed and effectiveness for calm, clear, beautiful skin. If you have acne you haven't run out of options. These light therapy products may be the answer to helping your skin. Hmmm. I'd never heard of light therapy for acne. I'd be interested to try it! Feels like the soaps never work!